Clubs often have forms they want to restrict so that only their members can access them. 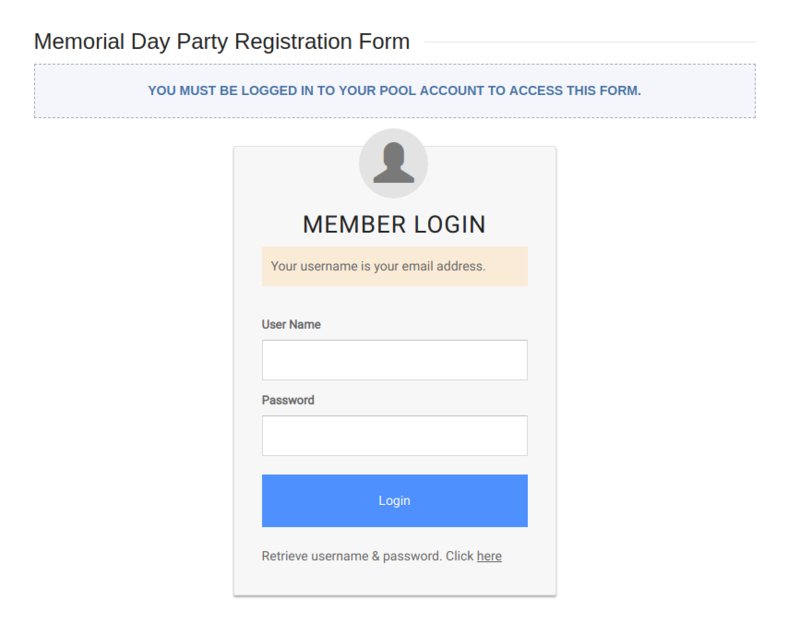 With Member Splash you can not only do that, but you can display a Member Splash login form in place of the restricted form so your members can login and view the form without leaving the page they are on. To restrict a form simply click on the Form Settings link. Next scroll down to the Restrictions section of the settings and check the box labeled Require user to be logged in. Once you check that it will display a text field for entering the message you would like non-logged in users to see when they try to access the form. You will also see a checkbox labeled Show Member Splash Login. If checked this will display the Member Splash login form below the non-logged in user message.